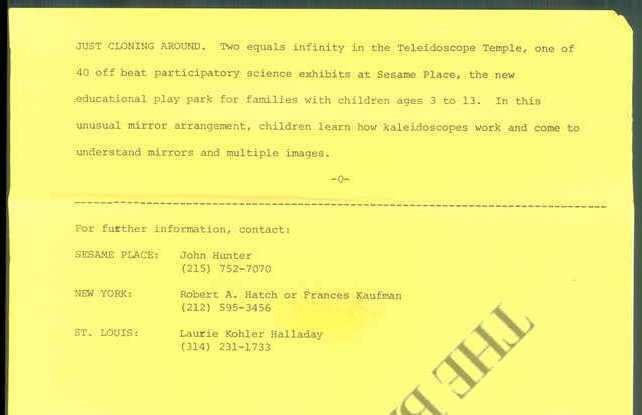 The "Teleidoscope Temple" was one of the science exhibits at Sesame Place that opened with the park in 1980. 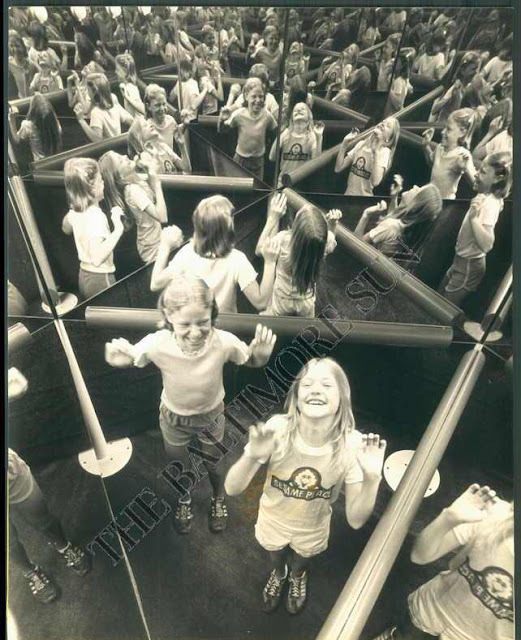 You would enter a small room of mirrors and your image would be repeated to infinity. This was located in Sesame Studio and existed (at least) until the late 1990s.